The Mens Arctic Sport Boot is a tall boot for extreme winter weather conditions. 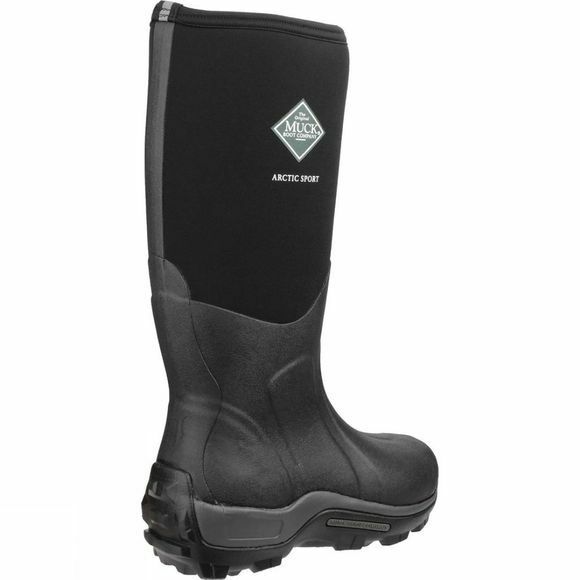 It steps up the warmth factor with a cosy, fleece-lined eight-millimetre neoprene inner boot for ultimate warmth in extreme cold conditions. 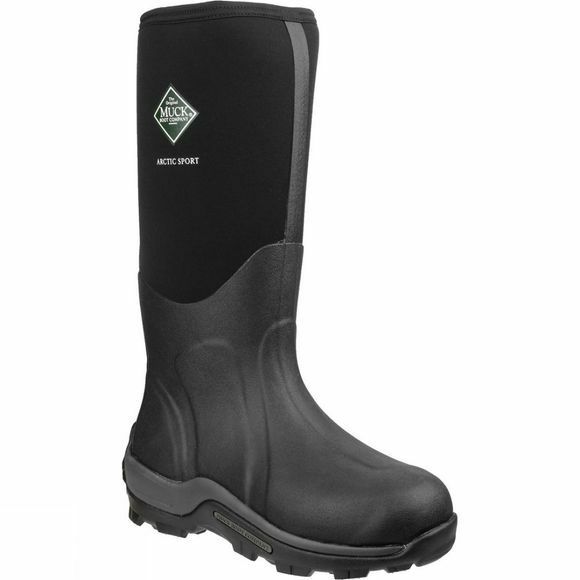 The stretch-fit top-line binding keeps the boot snug to your leg to keep cold air out and warm air in even in wet and freezing conditions. As well as an EVA moulded sole for supreme comfort, the boot feature an added two-millimetre thermal foam underlay for extra warmth. For those extra muddy or frozen days, the outsole is rugged, durable and offers ultimate protection with a reinforced toe and double reinforcement on the instep, heel and Achilles area.